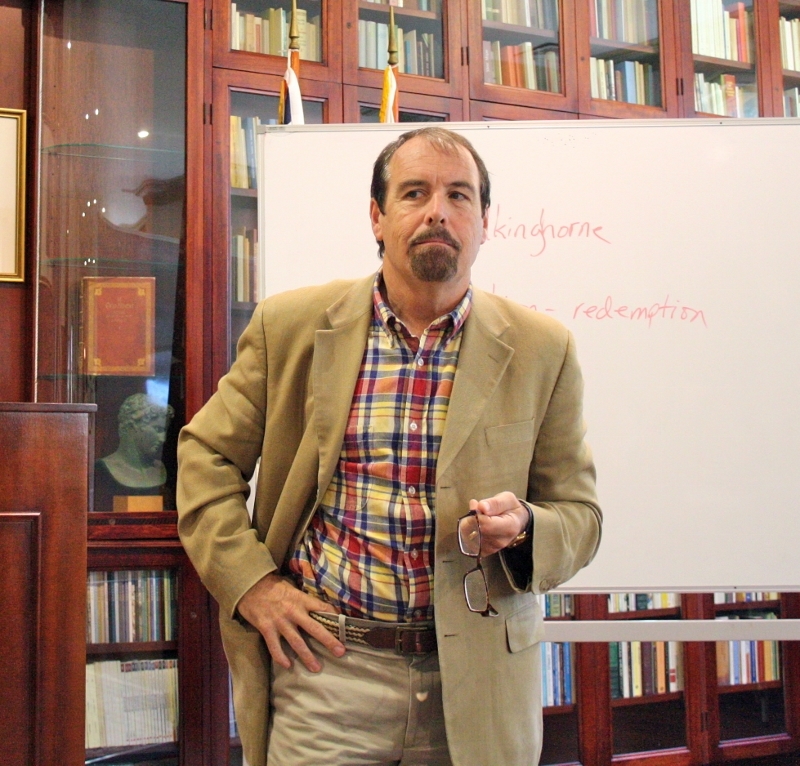 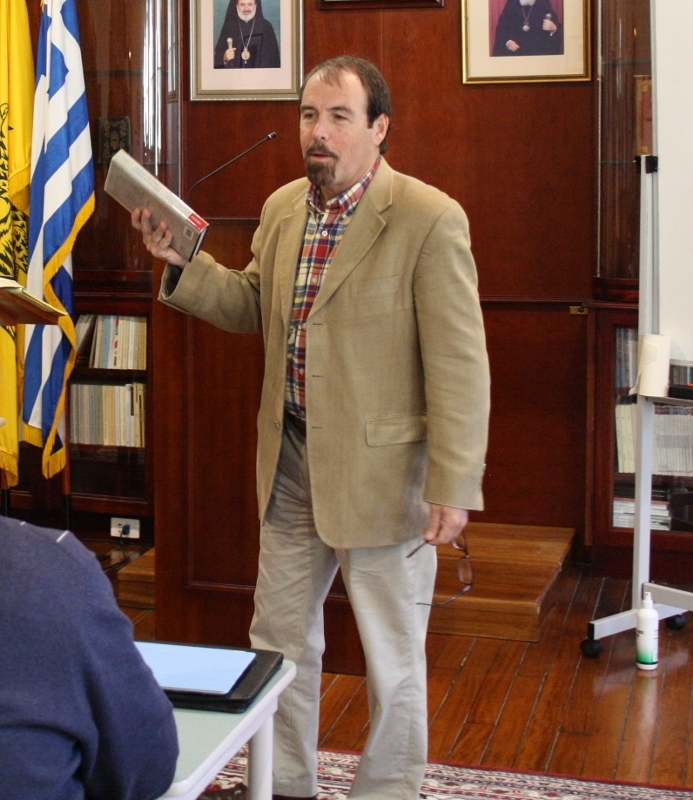 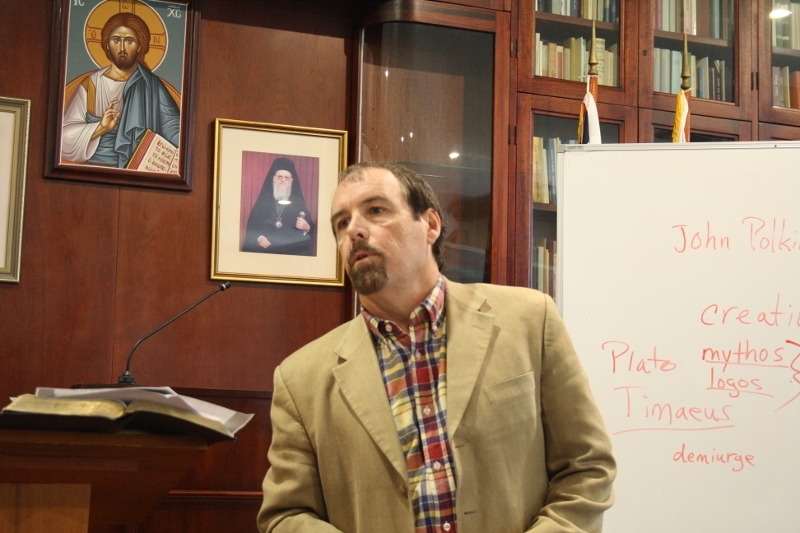 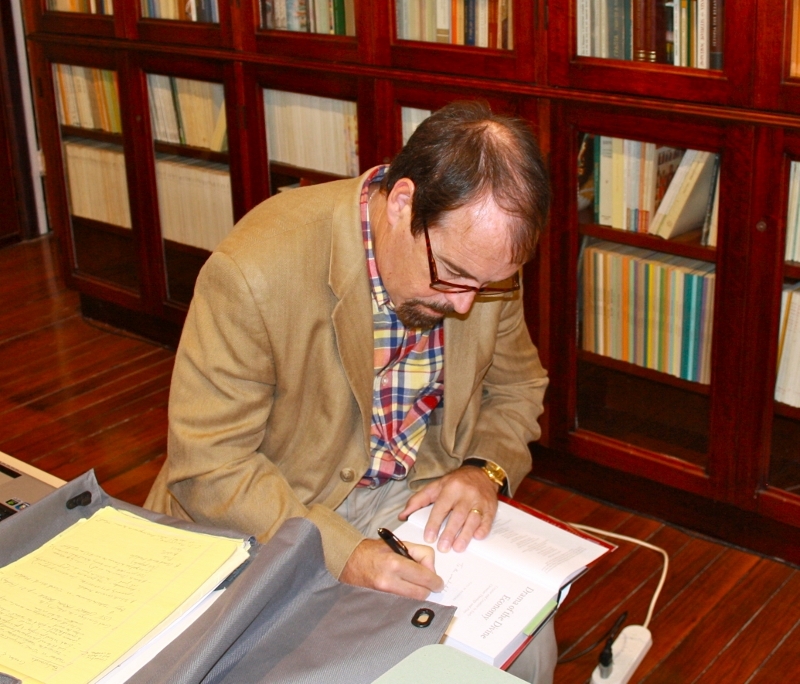 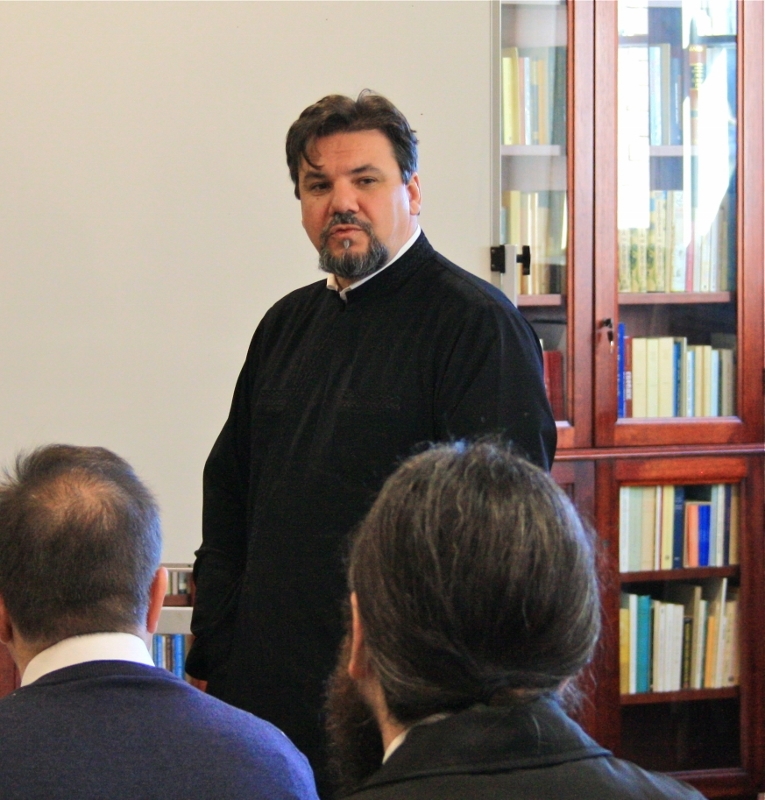 Fr Dr Doru Costache, Senior Lecturer in Patristic Studies, introducing Professor Blowers to participants in the 'Creator and Creation in Early Christian Theology' unit. 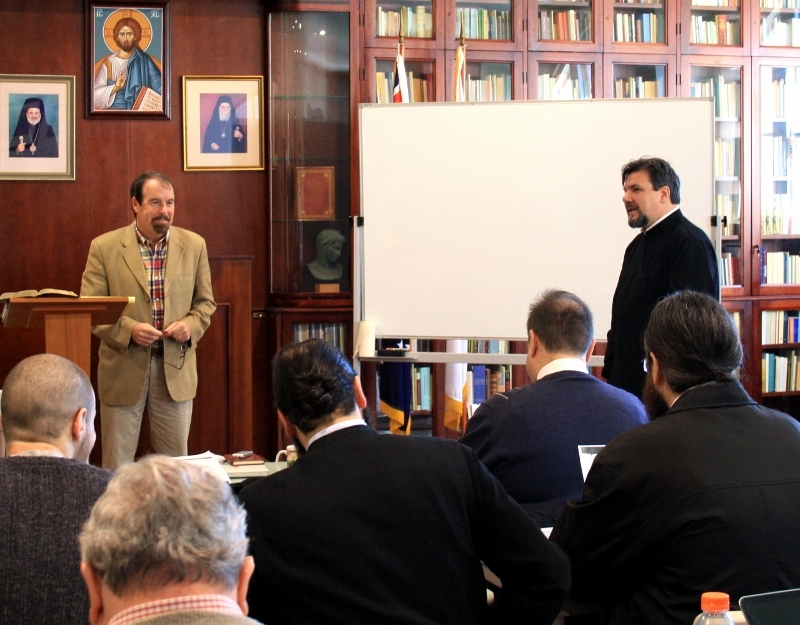 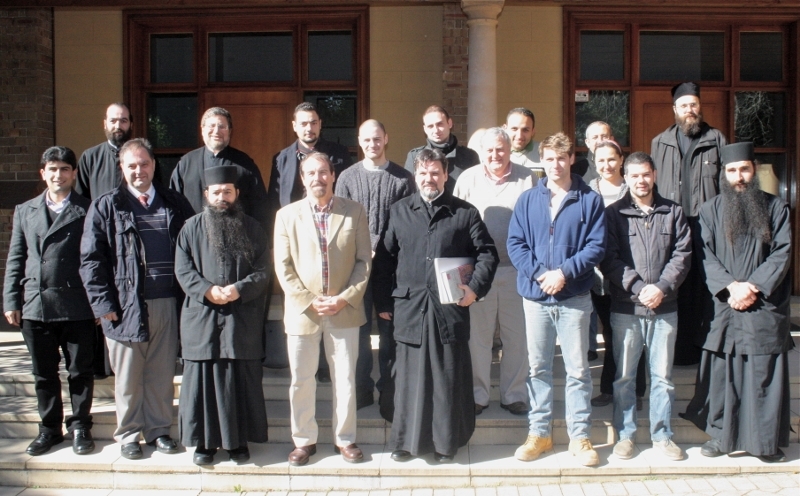 Professor Paul M. Blowers and Fr Dr Doru Costache (center), along with the Very Reverend Abbot Eusebios Pantanassiotis (left), college faculty and participants in the face-to-face lectures for TH595A Creator and Creation in Early Christian Theology. 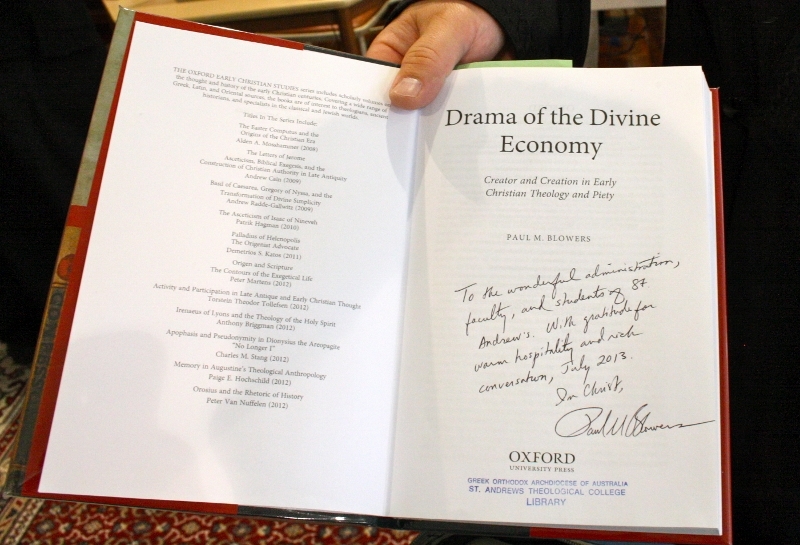 On the 22/07/2013, Professor Paul M. Blowers began to teach his second face-to-face lectures at St Andrew's for TH595A Creator and Creation in Early Christian Theology.